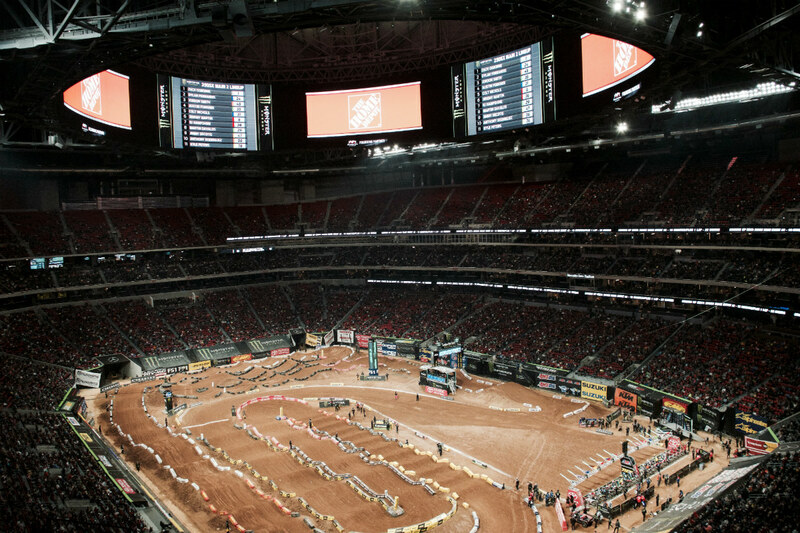 Event venues vary as widely as the events themselves. From small, cozy spaces to rooms that feel more like football fields, no two event facilities are identical — and the bids that integrators place for AV over IP builds in these spaces shouldn’t be identical, either. Here, we’ll share what integrators need to know in order to put together a winning proposal for an event space project. As Atlanta ProAV notes, most companies have invested considerable resources into a top-notch IT network. However, not all businesses have done so, and this latter category includes many event venues. In such venues, the existing Ethernet may cover only certain parts of the building and may have aged considerably. In some venues, network capability is limited to the administrative offices, which usually constitutes a microscopic portion of the venue’s total square footage. In other cases, the event venue may be a new use of an existing building, as in the case of Advanced Light & Sound’s work on the Minneapolis Armory, a building erected for the state’s National Guard in 1935. The building had served as an armory, a basketball venue and a parking garage before its transformation into an 8,000-seat event space linked to US Bank Stadium. Integrators frequently face projects that require an existing network to be expanded or upgraded within a standing structure. For event venues, however, both use of existing network equipment and expansions of that network may figure into the project. For example, sports venues may benefit from traditional AV for instant replays and referee reviews, but networked AV may be a better fit for informational signs. Should traditional AV be part of your proposal? Harman suggests the answer is yes. AV over IP offers benefits in terms of simplicity and scalability, but when it comes to perfect transmission of information in real time, a traditional AV system may be better suited to certain venues. Despite consistent advances in technology, many AV over IP builds still produce some lag time between the capture and playback of an image or sound. That’s because AV over IP takes a moment to encode the information into a data packet, transmit it and decode it on the other end. Certain capabilities, including those made possible by 10Gbps networks, have rendered the difference in lag time between traditional and networked AV a near non-issue. For certain venues, however, the traditional network may be a more effective choice. Weighing the choice between traditional and networked AV can also affect bids on house AV systems, notes Harman. Many event venues are installing permanent AV systems that are designed to be flexible, accommodating a wide range of the types of events the venue typically hosts. 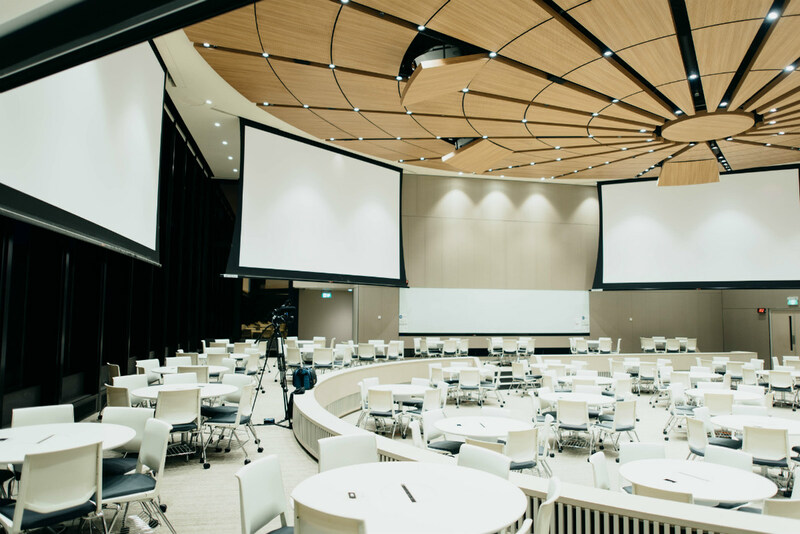 These projects most closely parallel conference room or lecture hall installations, and can pose the same challenges for integrators. Finally, special venues might demand special considerations. For instance, Andrew Taffin at Tallen Technology Rentals recounts an event held at a medieval Scottish castle — not the sort of site that comes with its own built-in network or even electricity. When bidding on a project in a historic building, don’t forget to consider whether the building has the electrical infrastructure needed to support the AV over IP build you envision. Every good bid considers its audience. 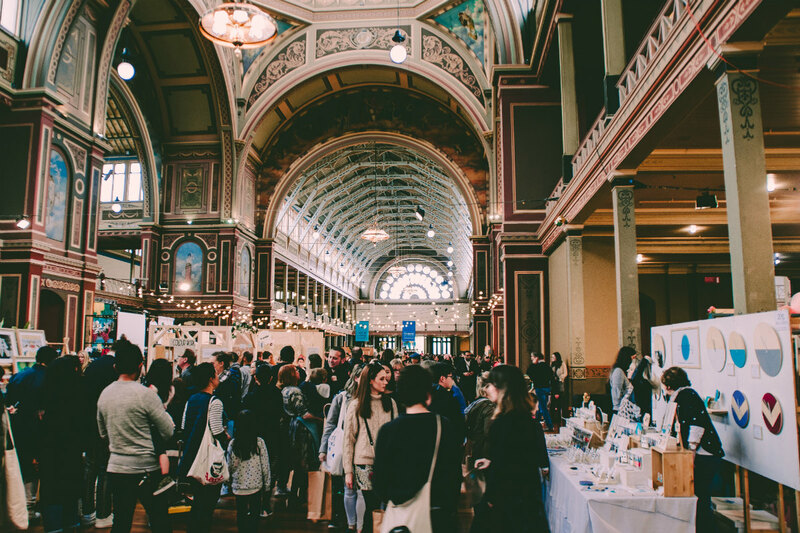 When it comes to event venues, the primary audience are the owners and managers of the event space, and their top consideration is often cost. For event venues, rent and overhead eat much of the budget, says Katie O’Reilly of Kenmare Catering and Events, which operates Germania Place on Chicago’s Gold Coast. Utilities, maintenance, staffing costs and advertising can swallow what’s left of the budget. Consequently, focusing on the cost efficiency of an AV over IP build can boost a bid’s promise for stakeholders. An emphasis on the ease of use of an AV over IP system can also make a bid more appealing. Don’t forget to highlight the value AV over IP brings to other parts of the venue’s budget, such as advertising and promotion. Clever integration can turn event venues into multifunctional spaces that boost the name of the venue as well as the profile of the event. For instance, incorporating audio and video systems can turn a presentation space into its own broadcast studio, System Video says, making it easier than ever for presenters to reach audiences around the world (and offering a major selling point for the venue as it seeks events to host). As always, a good AV over IP bid for an event space will also keep the IT staff in mind. If the venue has its own IT staff, offering a “survival guide” like this Biamp Systems example that focuses on conferencing tools can help integrators gain buy-in from the IT department and improve both the installation and use of the new system. For venues without staff, consider building tech support into your bid. Your potential client won’t know they have you on standby unless you tell them. Consistent wi-fi. Consider what strain an AV over IP proposal might place on existing networks, especially when conference attendees are all trying to use the same network at the same time. Easy BYOD options. Can presenters easily connect with the various presentation options (projectors, LED screens, etc.) with a wide range of devices? Can they switch between output options if needed? Audio dead zones. Every attendee should be able to hear every word spoken by presenters. Pay special attention to audio mixing and acoustics. Sharing. How easy are live-streaming, videoconferencing, filming and recording in the space? An added bonus? You can use the attendee’s point of view to sell the bid itself. Attendees increasingly demand flexible, functional AV options that can run easily alongside wi-fi, Chelsea Chavez notes at Oquendo Center. Putting yourself in a presenter’s or attendee’s shoes can reveal opportunities to improve the build. The design-bid vs. design-build debate continues to rage in the AV world, but in the meantime integrators must still contend with the occasional RFP in order to land the work they want. Here’s how to craft a proposal tailored to event facilities. Every event venue client, regardless of size, budget or mission, has the same fundamental question for AV integrators: What’s in this for me? The takeaway? Decide early what value you bring to the project, understand how that value helps this particular client and stay focused on that goal as you build a proposal. For instance, an integrator who specializes in providing ongoing AV support may wish to emphasize that fact for a venue with a limited budget and no on-site IT staff. An integrator who enjoys streamlining and standardizing AV over IP builds might underline that fact when talking cost or scalability. Many companies are stepping up their RFP game, Chrissy Winske notes at MyTechDecisions. A well-written RFP is an ideal tool for integrators because it outlines the specific elements you’ll need to include in an outstanding bid. Structure your bid similarly. Use the General Requirements section as a “general value” section, emphasizing the value your bid adds as it meets each requirement. Use the product section to include technical detail, and address value again in the Expectations section as you emphasize how the project you propose will meet or exceed each expectation. Consider each section from the potential client’s perspective. How can your offering not only meet the RFP’s demands but add value in other areas such as advertising? Don’t hesitate to mention these added benefits where appropriate. Use the same vocabulary as the RFP. Avoid copying sentences directly (unless you want a direct quote), but do use the same terminology, especially for key concepts. Doing so helps link your bid to the RFP and improves the bid’s readability for the prospective client. Finally, take a look at a few proposals before you start writing. Examples like this bid for a mall venue from Elite AV Systems can provide inspiration for attractive and informative layouts as well as content. Writing to the RFP is a snap when the RFP is well-written and up to date. When its goals are vague or its requests demand end-of-life equipment, things get tougher, Julian Phillips at Whitlock says. “There’s a lot of time-wasting that sometimes goes on in the RFP process because somebody hasn’t done their design work well or thoroughly enough up front, and they’re asking a whole bunch of vendors to respond to something which they know, themselves, probably needs to be re-designed,” Phillips tells AVNetwork. In these situations, consider asking for clarification or moving on to the next RFP. When it comes to the build itself, more detail is better, according to Joey D’Angelo of Charles Salter Associates. Clear diagrams, breakdowns of equipment and labor costs, and accompanying explanations help potential clients determine whether your bid is realistic, both in terms of budget and in terms of time. As with any proposal, though, where you get technical matters just as much as whether or how. Technical specifications are best included in their own portion of the bid. Use the introduction and conclusion to describe the project in more general, readily known terms and to underline how the overall build meets the client’s goals, and leave the meat in the center of the bid sandwich.